During my second year of University I asked anyone who would listen for good networking and business advice, some ended up with me being hospitalised & others continue to ring true to this very day. To be in the right place at the right time, you have to be in a lot of places. This piece of advice really hit home when I did an end of year analysis of 2009 about all the opportunities that I thought luck had brought me. Looking back I realised that I’d attended a networking event nearly every second week (whilst working 4 days a week and studying full-time), spoke at several university events, attended a handful of conferences, hosted half a dozen student events and kept my online presence active through blogging and tweeting. To be in the right place at the right time, you have to be in a lot of places. It was only when I was looking back I realised that the opportunities that I thought luck was presenting to me were actually the beneficiary of the time invested in being in lots of places over the year. Fast forward to 2014 and it’s easier than ever to be in lots of different places, except those places are all online. We can see a LinkedIn Group digest come into our inbox, you might catch the end of a tweet chat on a subject that you’re interested in or skim through a Facebook group full of like minded professionals. But what I’ve started to notice is that whilst I can access the information from all of those places I’m not building the relationships with those engaging in the communities that leads to new opportunities, projects, speaking gigs etc. This week I was reminded about the importance of removing the digital layer that we place in front of our lives and experiencing the magic of chance encounters and building offline connections. This magic happened in what I call the networking hotspot of Melbourne, a place that guarantees you to meet someone interesting if you stand there long enough. So where is this hotspot? 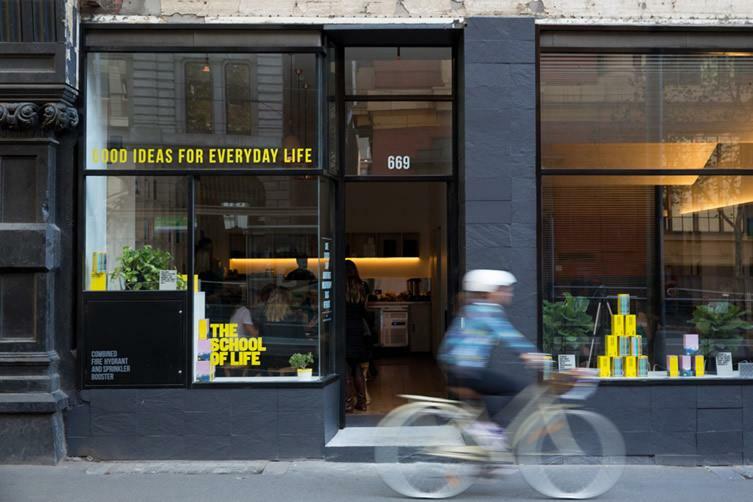 Stand in-between The School of Life & Kinfolk Cafe just near the doors that lead to Hub Melbourne. It was at this magical spot that the following happened just this week. I was standing there waiting to meet Phoebe, who wanted to pick my brain about my blog and the role of a personal brand for your online presence. Whilst waiting for Phoebe I bump into Sam, who was actually the one who connected Phoebe and myself. Whilst saying hi to Sam she introduces me to Simon, who she’s about to have lunch with, turns out Simon and I actually follow each other on twitter, but are able to develop a much stronger connection now that we’ve met face to face. Whilst talking to Simon & Sam more magic takes place as Stephen walks out of Hub and greets Sam. Sam then introduces Stephen to me and we soon realise that I actually attended a conference that he organised in 2010. This conference was my first ever social media conference and had a huge impact on the decisions and projects that have led to where I am today. That’s what I call seeing the power of your network mapped out in real life in front of you. All of that happened in the space of five minutes on the streets of Melbourne, it was the best reminder of a fact I’ve known for quite some time. Online connections are always strengthened when you take them offline and the power of removing the screen and going out and meeting new people. I’d like to think I’m not one to rest on my laurels, but the Melbourne hot spot has reminded me that I need to make a conscious effort to not just focus 100% on what I’m doing at that very moment but to look up more and spend time building my offline connections. I’m willing to bet that my next project or work opportunity will come from being in the right place at the right time, which means I need to be in a lot more places! The networking hotspot of Melbourne.